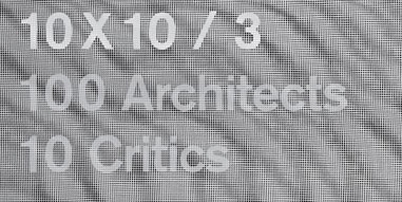 TERROIR is featured in the new instalment in Phaidon's respected 10x10 series. This third instalment includes a range of innovators including Thomas Heatherwick and Klein Dytham. Excitingly, a number of TERROIR-friends have also been featured, including Tatiana Bilbao, Studio Mumbai, BIG, JDS, Durbach Block and M3. See the Wallpaper Magazine review of the book here.